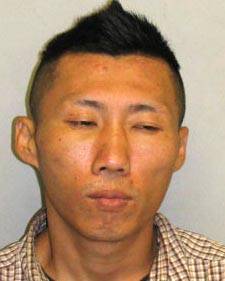 Hawaiʻi Island police have located two 30-year-old Puna men who being sought in connection with a robbery in the Leilani Estates subdivision last month. Mark McCurley of Hawaiian Beaches and Kawika Kahee of the Black Sand subdivision were arrested at 11 a.m. Tuesday (August 20) during a warrants sweep in Hawaiian Beaches. At 11:35 a.m. Wednesday (August 21), detectives charged McCurley with second-degree robbery, second-degree theft and kidnapping. His bail set at $85,000. Kahee was charged with second-degree robbery, second-degree theft and third-degree assault. His bail was set at $37,000. 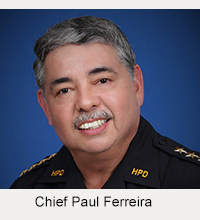 Both men are being held at the Hilo police cellblock pending their initial court appearance scheduled for Thursday. 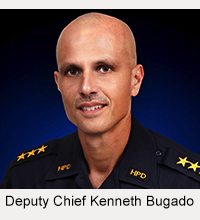 The victim, a 56-year-old woman, reported that three individuals who were invited to her home used force against her and removed several items on July 24. The suspects left the home in a white Ford Mustang. The third suspect has not been identified. Police ask anyone with information about the third suspect to contact Detective Derek Morimoto at 961-2380 or dmorimoto@co.hawaii.hi.us. Persons may also call the Police Department’s non-emergency line at 935-3311.